← DOJ: PHONY SCANDAL OR SELECTIVE AND ILLEGAL APPLICATION OF THE LAW? Well, Washington got that straightened out. I revealed Wednesday (last week) that powerful pressure of the highest order was brought to bear to stop the (Amish) amendment to the DoD appropriation bill to rein in the NSA. The pressure worked as could be predicted. The vote was 205-217. Anti National Security Democrats were generally for the amendment and Constitutional TEA Party type conservatives, like me, were for the amendment. Washington insiders of both parties would be for the unlimited and uncontrolled NSA. It appears We the People are not in control of the U.S. House and Senate. It appears the powers at the DoD and clandestine agencies are in control. It seems that anyone who would not trust the IRS could simply not trust the NSA either. To illustrate the pro-NSA vote (against the amendment), let me use the argument of the only Member of Congress that is a personal friend of mine, Congresswoman Michele Bachmann. She and I worked together for Conservative causes years before she went to Congress in 2007. I believe I can argue with confidence she would never have voted against the Amish amendment before she went to Washington. Remember, Congresswoman Bachmann is the founder and Chairman of the Tea party Caucus. Here, in part, is Bachmann’s argument on the House floor before the vote a week ago. This is a deeply flawed—nearly incoherent—statement. The very system my friend defends grew because of a false narrative that began nearly 12 years ago. The Congresswoman got her facts from NSA Director General Keith Alexander or his office. It is silly to believe or ask anyone else to believe there is more information in your phone book than the NSA—and many other agencies—have. It is very likely that some federal agencies have had or now have Congresswoman Bachmann’s phones tapped. Forget about Edward Snowden. The real facts have been presented for the past 9 years by a small courageous group of whistleblowers—particularly William Binney and Thomas Drake. How did Michele Bachmann and so many other American patriots get taken into the real false narrative? To understand we must go back to the attack on America and freedom itself by Islamic Jihadists September 11, 2001. After his address one commentator, General Norman Schwarzkopf, declared the President “didn’t just draw a line in the sand, he bulldozed a trench!” I felt the same. To this day a consider it a Providential blessing that George W. Bush was President on September 11, 2001 and in the ensuing weeks and months. No, they do not practice a fringe form of Islam. The Jihadists are following Muslim scholars beginning with the top Sunni scholar in the world, Sheikh Yusuf Al Qaradawi, who is also the top religious authority of the CAIR sponsoring Muslim Brotherhood. 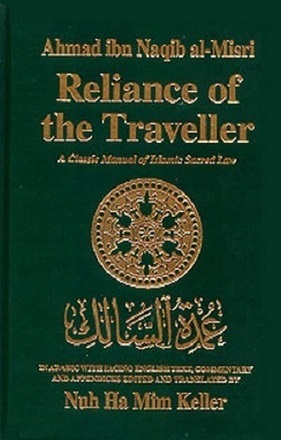 They practice the Islamic scholarship that is studied and taught by Sunni Imams worldwide from the Classic Manuel of Islamic Sacred Law (Sunni), Reliance of the Traveller by Ahmad ibn Naqib al-Misri. No, the teachings of Islam are not peaceful. The terrorist directive is exactly the core teaching of Sunni Islam. The teachings of Islam are not good and peaceful. Those that practice any and every form of Jihad do not see their action against freedom as evil. They see Islamic repression as good and freedom as evil. The terrorists, while they are hijackers of airliners, are not hijackers of their faith but rather faithful practitioners of Islam itself. What we, the American Government, failed to ever commence was this: to simply focus on young Muslim men (and occasionally women). Instead, we focused on Americans. Here is where we went wrong and where many of our friends in elected office and public service, like my friend Congresswoman Bachmann, developed the false narrative that to be secure, we must treat airline travelers, and others, as security risks and we must, with the highest level of classification, conduct secret spy programs on the American people. My fellow Americans, we must stop spying on patriotic citizens and, with effective profiling, focus on the Jihadists. Noting the outpouring of support from around the world, the President mistakenly included prayers at a Mosque in Cairo. Those prayers, in Arabic, were for the Jihadists, not for America or the freedom it represents. We now know that we collect and store data and personal information on all Americans. We also know the spying and data collection system failed to acknowledge the obvious danger of domestic Jihadist, Army Major Nidal Hasan. To this day, it is officially and shamefully labeled, “workplace violence.” We know spying on all Americans failed to stop Tamerlan and Dzhokhar Tsarnaev the Boston Marathon bombers. In fact, America looked silly and inept, failing—even with a warning from the Russians of all people. Then there is the matter of comprehensive immigration reform. We are told there are 11 million “undocumented workers” (illegal aliens) living in the shadows here in America. We are told we must pass comprehensive immigration reform so we can find them. We are told some 40% of them are here illegally because they have overstayed their visas. Yet we are supposed to believe that, if we simply accept government spying on all of us, terrorists won’t have a chance. To a rational mind it seems that if spying on all of us will stop virtually every terrorist, we could find those elusive “undocumented workers”—even in the shadows. Let us begin today to reverse the false narrative foisted on us by Islamic Jihad and Political Correctness. This entry was posted in Big Brother is watching and listening, Islamic war against America, State of Obama's America. Bookmark the permalink.